The Hawkeyes faced three highly ranked opponents this past weekend in No. 11 USC, No. 3 Stanford, and No. 1 Cal, pulling off an upset in one matchup. The No. 12 Iowa rowing squad this past weekend headed to Redwood Shores, California, for the Pac 12 Invitational. The crews faced tough competition and finished the weekend 1-2. On March 30, the Hawkeye I Varsity 8 boat — comprising Naomi Visser, Elena Waiglein, Paige Schlapkohl, Hannah Greenlee, Hunter Koenigsfeld, Contessa Harold, Katie Pearson, Eve Stewart, and Logan Jones — took an early lead against No. 11 USC, upsetting the Trojans and finishing 9.5 seconds ahead. The II Varsity 8 boat — Lucie Daman, Kayla Jensen, Carly Millard, Amalie Millard, Nathalia Wellenreiter, Rachel Canon, Nina Lawrence, Claire Rutherford, and Faith Wieland — didn’t enjoy that success, losing an early lead at the third 500 meters. The Hawkeyes finished 4.8 seconds behind USC. The I Varsity 4 of Allison Blevins, Rachel Valentine, Molly Rygh, Noelle Ossenkop, and Katie Becker also fell to USC. Against No. 3 Stanford, all three boats fell short of wins. 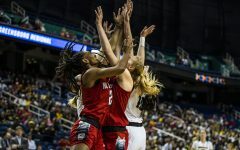 The results did not discourage head coach Andrew Carter. 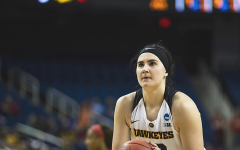 Midwestern weather has limited the time the Hawkeyes have been able to be on the river, but Iowa’s times were still comparable with some top-notch teams. Iowa had a tall task on Day 2: No. 1 Cal. 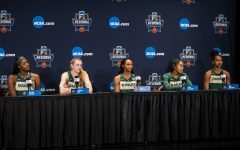 The Golden Bears won the national title last season, and they were able to get the job done March 31. Although the IV8 boat wasn’t able to top last season’s best squad, the crew improved Day 1’s time by 3.8 seconds, 6:25.5. 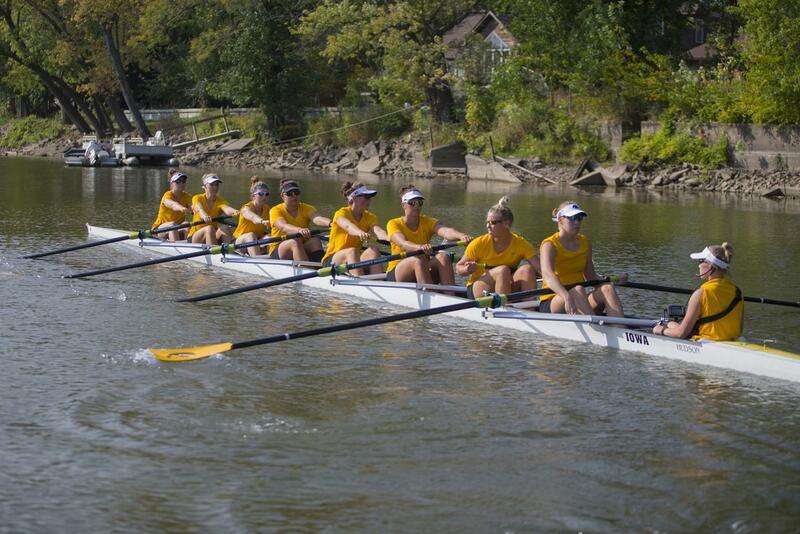 IIV 8 and IV4 both fell short to the Golden Bears in their respective races, as Cal swept the Hawkeyes. Iowa will have a two-week break before its second event of the season. The Hawkeyes will host their only home event of the year when Wisconsin and Minnesota will meet Iowa on Lake Macbride on April 13.